Posted July 31, 2013. Updated: February 5, 2014. 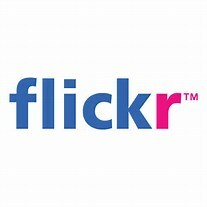 A simple Windows Application that allows you to upload images to Flickr. It will upload JPG images in a folder and any folder below the root folder. With Flickr’s recent storage increased to 1TB, this app is a good and easy method of uploading lots of folders to Flickr. You can download a beta version from here. If your using Windows 8 you will get prompted via Windows Smart Screen that the software is unsigned. I would love to sign my software, it’s just not cost effective for me as I give all of this stuff away, maybe one day. Please keep in mind this application is beta and very basic and will have some errors and debugging code. When you first open it you need to authorise it, which can be done from the FlickrIT menu. If you have any issues then please do feel free to contact me.